You’ll love seeing the smiles on your childrens faces as they have a blast on our beautifully crafted playsets! Watch their imaginations run wild as they turn these durable, quality sets into a fort, a dollhouse, or a whole new world. 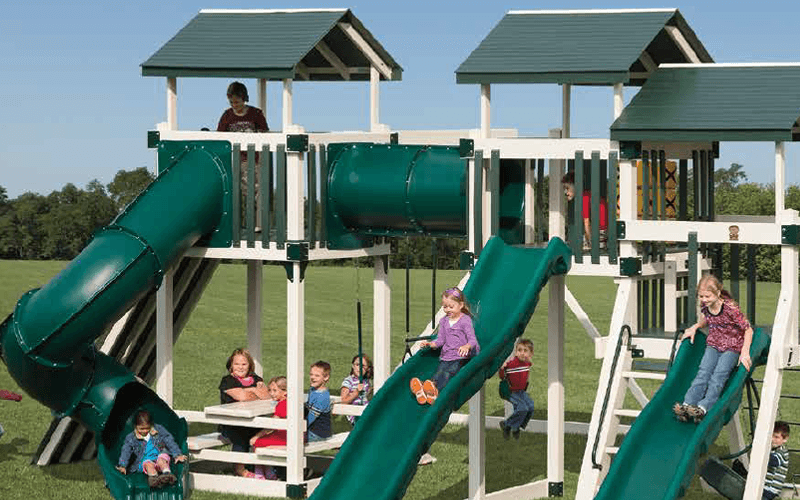 Made by the Amish, our playsets and playgrounds are shipped directly from Pennsylvania. You and your children  and maybe your grandchildren  can enjoy quality time with each other for years to come on these Amish, vinyl-sided playsets.